Well today my girls are back to school and my son tomorrow. Boo Hoo….he’s a senior this year! 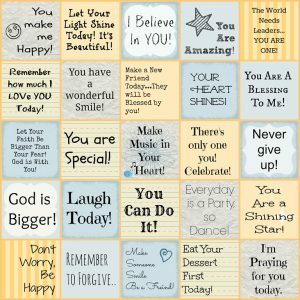 To encourage them now and then, I will be making lots of LunchBox Love Notes to hide in lunches, on pillows, in the bathroom, in the frig….anywhere! 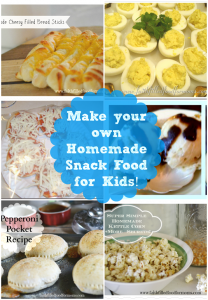 3 Homemade Lunchbox Snack Food! Awesome! Thanks for these – plan on putting them to good use. I’m all too familiar with the realization that time goes by quickly. I drove my oldest to his first year of college – a full 12 hour drive from me – on Friday this past week. Sigh. I have mixed emotions. I know that God led him there and opened the doors. I trust Him and willingly place my baby boy in His care. However – I miss him (already!) and I’m hoping this gets easier with time. 😉 Thanks friend!! Hi Colleen! Awww so sweet but sad when they leave isn’t it..I’m with you..we know it is part of God’s plan for our kids to grow up and leave home and when we see God open doors it’s such a blessing…on the other hand it’s sooo hard to say goodbye! 🙁 Even though I’ve done it 4 times already I can’t get used to my babies just going off and leaving home…boo hoo 🙁 I’m so glad you enjoyed the Love Notes..I’ll be making more and sharing..it’s just so fun!! LOL How is your project going? These are super cute printables!! Thanks for linking up at Take it on Tuesday! I’m pinning this. Hi Betsy! Thank YOU for the link up…I’m not very good at linking 🙁 I’ve got to be more committed to this! 🙂 Blessings! I absolutely adore these! I love little reminders that God is always with us throughout our day! Thanks so much for sharing! It looks like you used the fonts & graphics at PicMonkey. Love that site! I’m going to schedule a tweet to share these notes. They’re just so cute! I’m visiting from Titus2Tuesday. Blessings! Hey, these are great! I am pinning them now, visiting from #ShineBlogHop . Thanks for sharing these! 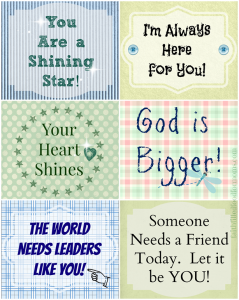 I love these printables… especially the ones that remind them of God’s presence! How awesome and what a wonderful treasure for your children to discover! I’m going to have to check out those homemade snacks too. Thanks for sharing (and for linking up to the #SHINEbloghop)! LOVE these! What a great way to make your kids feel special every day! Thanks so much for sharing on Makeovers & Motherhood’s Welcome Party Wednesday Link-Up! Featuring you this week! 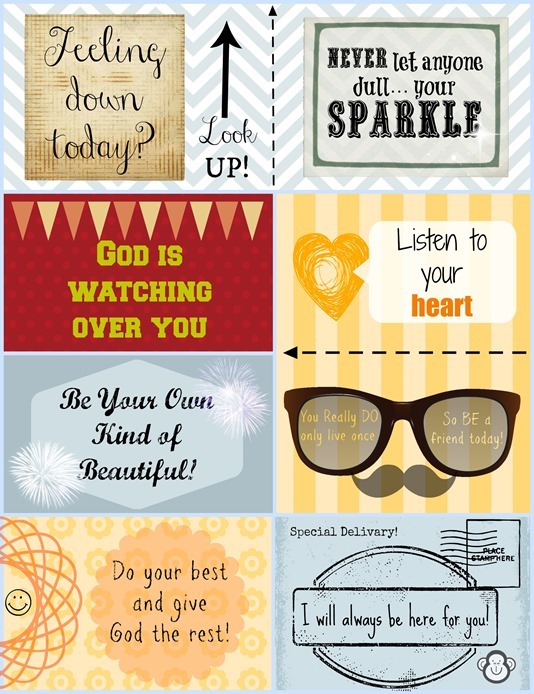 Thank you so much for sharing these great printables! I know my kids will benefit from the positive, faith-based messages this year. I’m wondering if you would grant permission for me to share these with my Mom’s Group. I am the service project coordinator and for our first month’s project we decided to help moms give back to their families by giving them resources and the time to write notes of love and encouragement that they can use to build up their kids and husbands. I would need to print them ahead of time, but would make sure to give full credit to you, along with your blog info.